What do you see when you look at the image above? A demon skull? An old woman with wild hair? A happening dance party? That’s the great thing about the Rorschach inkblot test – there’s no wrong answer. 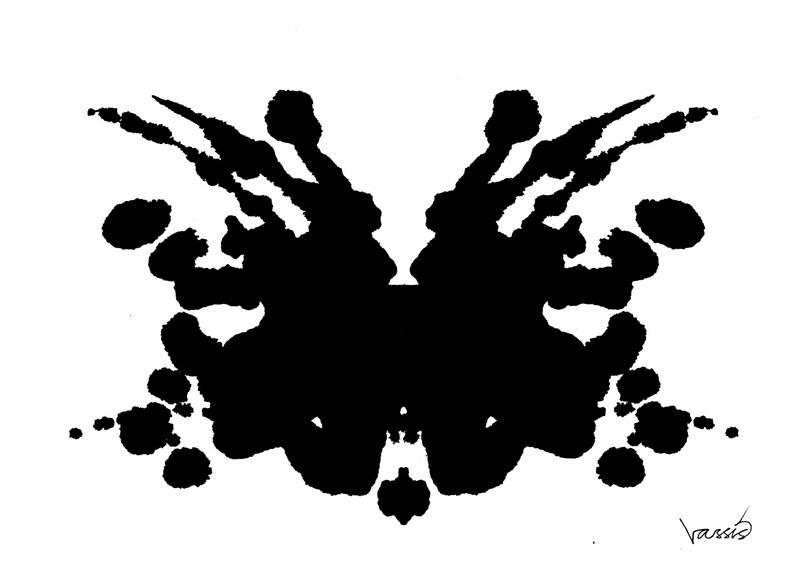 Any and all interpretations of an inkblot are “right”. In many ways, a lot of what have been considered to be key supply chain advances are often treated in the same way. Over the years, I’ve met many people at conferences and seminars who proudly state that “we’re doing CPFR” or “we’re doing S&OP”. After short conversations with these folks, it seems that the definition of “CPFR” and “S&OP” has become somewhat diluted. It seems that any time someone shares a spreadsheet with someone outside their organization, it’s “CPFR” and whenever two people from different areas of an organization are in the same room, it’s “an S&OP meeting”. Part of this is because these terms have successfully pervaded the supply chain lexicon and are well known. People are either jumping aboard a bandwagon or perhaps unintentionally using the terms as shorthand for something they were never meant to convey. However, to a certain extent, these concepts sort of had it coming. While the early proponents and practitioners of these concepts laid out some guidelines and principles, there was still a lot of grey area as to how they could be applied to the actual day-to-day operation of a business by the people who actually run the day-to-day business (hint: those people do not occupy the executive suites). I hate that word “basically”. I don’t know what the names of each of these variations might be, but the stuff after the “but” means that it is definitely not Flowcasting. Flowcasting only works as a sum of all its parts and you can’t pick and choose criteria from a menu and label it “basically Flowcasting”, any more than you can say that any object with 4 wheels on it is “basically a Ferrari”. So how can you know if you’re truly “doing Flowcasting” without having to read a 300 page book on the subject? Fortunately, the Flowcasting process is detailed and specific, without much room for a lot of “eye of the beholder” stuff. – If someone chooses any item in your assortment, any location in your network and any day in the upcoming year, you can enter these 3 pieces of information into a system and it will tell you what your sales, receipts and on hand balance will be for that item in that location on that day. – For any item at any selling location, you can see a 52 week sales forecast that incorporates all known future demand influences, including seasons and promotions. – Except in rare cases, all orders and stock transfers are administrative “non events” that trigger automatically with a single lead-time and without any human intervention. Yes, that goes for promo orders too. – You can view any location in your network and you can see inbound, outbound and inventoried cubic feet, weight, pallet positions, picks, receipts and labour hours for any day in the next 52 weeks – and you can drill down to see precisely which items are driving those high level metrics on that day. – You can automatically create a financial plan for any item, category or across the entire business for the next 52 weeks, including sales, purchases and inventory investments. Then you can update the forecast for one item and the financial plan at any level automatically refreshes. You may not be able to get there overnight, but once you’re there, you are Flowcasting. Basically.